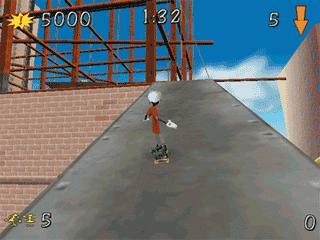 It's 3D Extreme Skateboarding with a Hilarious Goofy Twist! Get ready to catch "big air" and perform radical stunts just like the pros in Disney's Extremely Goofy Skateboarding! Shred with our friend Goofy or his son Max, in 4 wacky, wild and gravity-defying worlds. Whether it's dropping into a half pipe, trick skating, goof skating or performing 3D skateboarding tricks, Disney's Extremely Goofy Skateboarding has gotcha covered! Learn cool tricks from Max and Goofy as they teach you each move with outrageous audio and visual demonstrations. 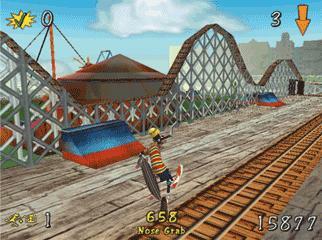 Get radical and go for it in 4 unique worlds: The Beach, The City, The Desert, and Goofy's Neighborhood. And, as your skills increase, discover the 3 wacky levels that exist in each world.